Established in the year 2001, Power Tech System, India, is engaged in Manufacturing, Trading, Services Providing and Importing of an exhaustive range of Frequency Inverters, AC Drives, Vector Control Inverter and Elevator and Escalator Inverter. We are indulged in the field of Automation specially designed for high efficiency and reliable performance. Consolidating, on our state-of-the-art manufacturing unit, equipped with the latest technology and sophisticated machinery, we have been able to satisfactorily meet the requirements of our domestic as well as global clients. We are amongst the leading Manufacturer, Exporter, Service Provider and Importer of a highly innovative and compact designed range of electric power inverters. 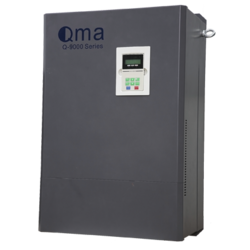 Our frequency inverters, vector control inverter, AC drive inverter, vector control frequency inverter, pro star frequency inverter are integrated with inbuilt functions. We are a leading organization engaged in Manufacturing, Exporting, Service Providing and Importing Electric Power Inverters on a global platform. Our forte lies in catering to the diversified needs of our clients in a very professional and effective way.